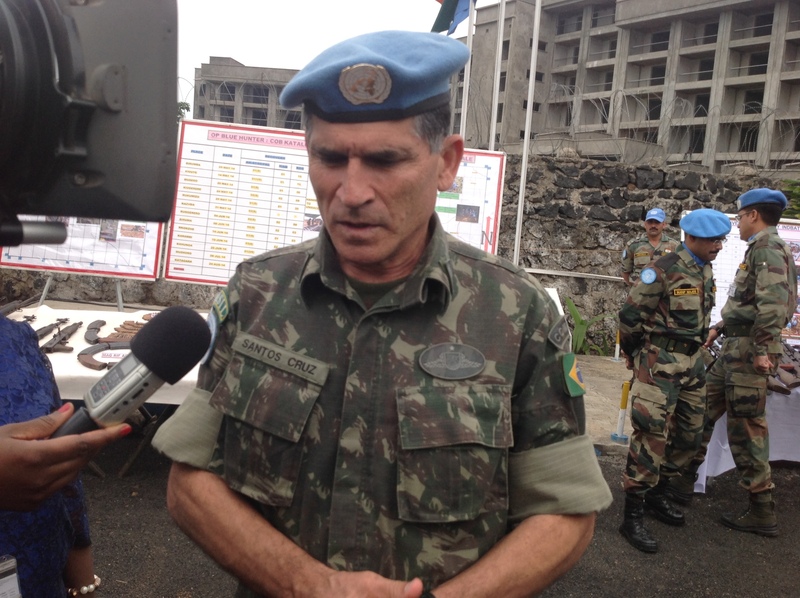 During his recent visit to a Burudian refugee camp in Lusenda, South Kivu, General Carlos Alberto dos Santos Cruz said he was satisfied with the measures taken or envisaged for the protection of some 7,000 refugees living there, promising however to reinforce those with logistical support from the United Nations Stabilisation Mission in the DR Congo. 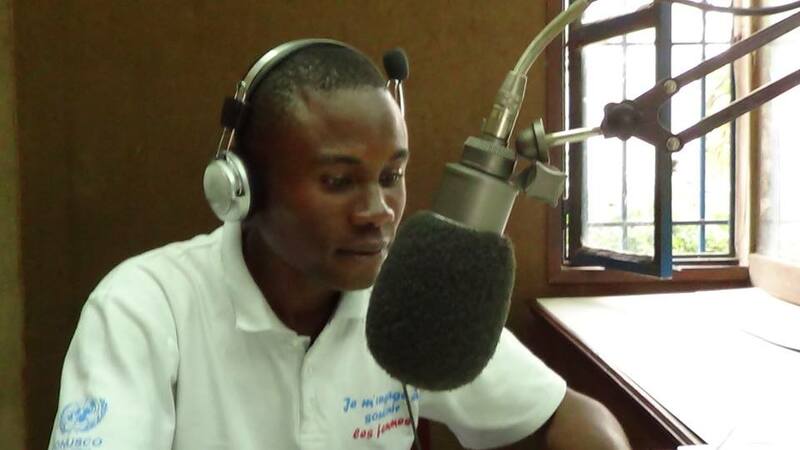 This support will materialise quickly through the provision by MONUSCO of mobile radio communication equipment for the Congolese National Police, promised the Force Commander after interacting with refugees, police and UNHCR representatives. General dos Santos Cruz was leading an important delegation which included General Maqsood Ayyaz, Commander of South Kivu Brigade of MONUSCO, General Gustave Safari, Commander of the FARDC South Sector of Sukula II military operations in South Kivu, and Christine Kapalata, Acting Head of MONUSCO Office in South Kivu. The visit to Lusenda was preceded by a brief stop at Uvira, where the delegation, welcomed by the head of MONUSCO sub-office, Ould Mohamed El Hacen, was briefed on the security situation in the area and on the situation of Burundian refugees as well. From the briefing emerged the following: Peace and the security of the populations have been under constant and serious threats by various armed groups, both local (Mai Mai) and foreign, including Rwandan FDLR and Burundian FNL. With the crisis in Burundi since April 2015, more than 13,500 Burundians have found refuge in the South Kivu province of the Democratic Republic of the Congo, mainly in the territories of Fizi and Uvira. If nearly half of these refugees have settled with local host families, 6, 695 others are however hosted in the camp at Lusenda. If their coexistence with the local populations is said to be excellent, their protection remains a matter of concern for all. Currently only a few police officers have been deployed for the security of the camp, with limited resources in terms of transport and communication in particular, Lusenda being covered by different mobile phone networks. The Office of the UN Commissioner for Refugees (UNHCR) has already provided 10 trunked radios, promising also to provide a vehicle in the course of the next week. But in accordance with the principle that “prevention is better than cure”, General dos Santos Cruz decided to visit Lusenda and take a first-hand look at the security situation in and around the camp, and see with UNHCR, the National Commission for Refugees (CNR), the Congolese Police and Armed Forces, how to optimise these measures for the protection of the refugees, and how to deal with any potential attack. While there, he listened carefully to the explanations provided by interlocutors, and asked many questions. Then he went back rather satisfied with what he saw and heard about the protection measures already in place or to come.